... 1857, Zelia Nuttall (left) was born in San Francisco, California, to an Ireland-born father and a Mexico-born mother. (photo credit) The mother gave her child a book on Mexican antiquities -- a gift said to have launched Nuttall on a career as an anthropologist (though no doubt the family's residences, and her consequent education, in France, Germany, Italy, and England helped as well). 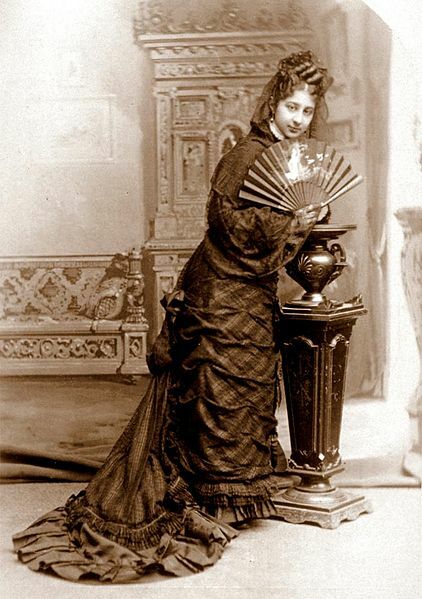 Nuttall 1st visited Mexico in 1884; eventually she would locate there permanently. In addition to her own writings, Nuttall was noted for finding lost manuscripts that provided troves of information for other scholars. Titles she held included Honorary Assistant in Mexican Archaeology at Harvard's Peabody Museum (papers of hers are archived there), Honorary Professor of Archaeology at the National Museum of Mexico, and Advisory Councilmember for the University of California Department of Anthropology. 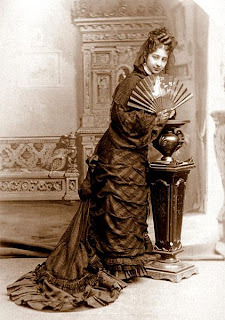 At times she felt slighted by other, male researchers; "righteous grievance" in the words of a noted archeologist who wrote an obituary when Nuttall died at Casa Alvarado, Coyoacan, Mexico, in 1933.